An expert describes how far the field has come, with two treatments approved and more in the works. Immunotherapy, which uses the body’s own immune system to fight cancer, has shown great promise in helping patients with cancer live longer, with fewer of the side effects that may accompany other treatments, such as chemo­therapy. Much of the excitement revolves around one type in particular: chimeric antigen receptor (CAR)-T cell therapy. CAR-T cell therapy involves removing a patient’s T cells, re-engineering them in a lab and then putting them back into the person’s body to fight their cancer. Two of these treat­ments have been approved by the Food and Drug Administration (FDA): Kymriah (tisagenle­cleucel) and Yescarta (axicabtagene ciloleucel), for some adults and children with certain types of blood cancers. 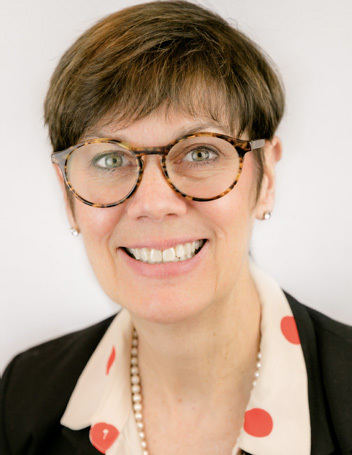 In an interview with CURE®, Jill O’Donnell- Tormey, Ph.D., chief executive officer and director of Scientific Affairs of the Cancer Research Institute, discussed the state of CAR-T cell therapy and what lies ahead. CURE®: Where does the science stand for CAR-T cell therapy in patients with blood cancer? O’Donnell-Tormey: I think we are still in early days. We have two drugs that have FDA approval for either a pediatric population with acute lymphocytic leukemia or an adult population with relapsed/refractory non-Hodgkin B-cell lymphoma. We’ve seen initial results that the response rates have been extremely high in these hard-to-treat patient populations that have failed available treatments. People are now looking to see if these responses are long-lasting. Recent results indicate that not every patient who initially responds will continue to respond at two years, though a good number are (doing so). We need more research to understand both who will respond to CAR-T cells, as well as why some patients relapse after initially responding. We also need to determine how best to treat those patients who relapse. It’s cautionary, and patients should try to keep this all in perspective. Many may feel like this is “the cure,” and in some patients, it has been. But it’s not a cure for everyone. The hope is that, with research, we’ll get there. Is CAR-T cell therapy for everyone? The CAR-T cell therapies available now are mostly for the same target, which is the CD19 molecule found on B-cell lymphomas and B-cell leukemias. Right there, that boxes in who is eligible for these treatments. And in most cases, at least for the approved treatments, a person has to have failed multiple treatments. CAR-T cell therapy is not yet a front-line treatment, but I think that’s where the research is going. Do you see more approved CAR-T cell therapies on the horizon? Absolutely. There are other agents being tested — in a year, there has been an increase of about 113 percent in the number of cell therapies in the (research and development) pipeline, according to a global landscape report from the Cancer Research Institute published earlier this year. Chronic lymphocytic leukemia may be where we see the next approval. In multiple myeloma, several CAR-T cell therapies are aimed at BCMA (B-cell maturation antigen), which seems to be the target in this disease. There is also a lot of research going on to see if CAR-T cell therapy can be effec­tive in treating solid tumors. How do you envision the future of CAR-T cell therapy? We’ve proved that certain patients can have amazing responses. Emily Whitehead is the poster child — she was the first pediatric patient to be treated with CAR-T cell therapy — and she is still in total remission, now more than six years out. So there is great potential for CAR-T cells, but we have to figure out why not every patient responds the way Emily did. CAR-T cells will be one of the options for patients with hematological malignancies and, potentially, solid tumors going forward. In most of these cases, the patient gets one treatment — one infusion — and this yields some remark­able results, so that makes this treatment very appealing. If we could figure out how to get more people to respond to this and move it to the front line, that could have an amazing effect on patients’ lives. The results to date show just how powerful immunotherapy can be, and now we must figure out how to harness it for more patients. JILL O’DONNELL-TORMEY, PH.D., is chief executive officer and director of scientific affairs of the Cancer Research Institute (CRI), a nonprofit organization founded in 1953 that is today the global leader in supporting and coordinating research aimed at harnessing the immune system’s power to conquer all cancers. Prior to joining CRI, she served as a research associate in the department of medicine at Cornell University Medical College and as a postdoctoral fellow in the laboratory of cellular physiology and immunology at The Rockefeller University.